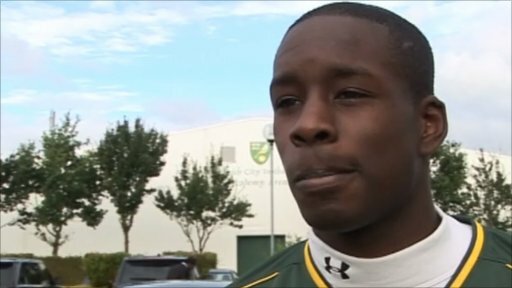 Norwich City boss Paul Lambert has moved to bring in West Brom defender Leon Barnett on loan until 4 January. The 25-year-old, who made 20 appearances during a spell at Coventry City last season, will act as cover for the injured Michael Nelson. Lambert told BBC Radio Norfolk: "He's quick, that's for sure and he's an out-and-out defender. "He's been in the Premier League and Championship before, so I've got no worries at all about him." The Canaries have found themselves short of central-defensive options after Nelson, 30, damaged ankle ligaments against Swansea at the weekend. Lambert is also without American defender Zak Whitbread, who is yet to see any action this season after picking up a calf injury during the summer. Lambert was pleased to secure Barnett's services after admitting he failed to lure the versatile defender to Carrow Road last season. "The finance side of it was the barrier first and foremost [last season]," he added. "We never got around to speaking to him ourselves because the finances dictated there was nothing we could do." For Barnett, the challenge of playing in the Championship is a familiar one after his loan spell with the Sky Blues last term, where he partnered new Canaries centre-half Elliott Ward. "I know the league well and hopefully I can give good performances for Norwich City," he said. "I know Wardy from Coventry and I know him from out of football as well, it's good to play with someone you know." The Baggies do not have an option to recall the defender, who played the full 90 minutes in their 2-0 League Cup win at Leyton Orient on Tuesday. Barnett has made 51 appearances for West Brom since making a £2.5m switch to the Hawthorns from Luton Town in 2007.